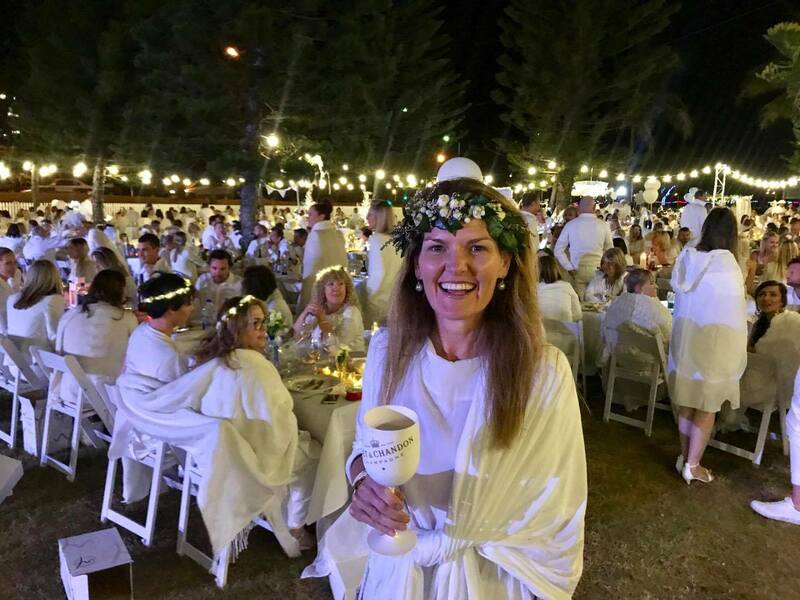 Diner on Blanc was a huge success and so much fun! 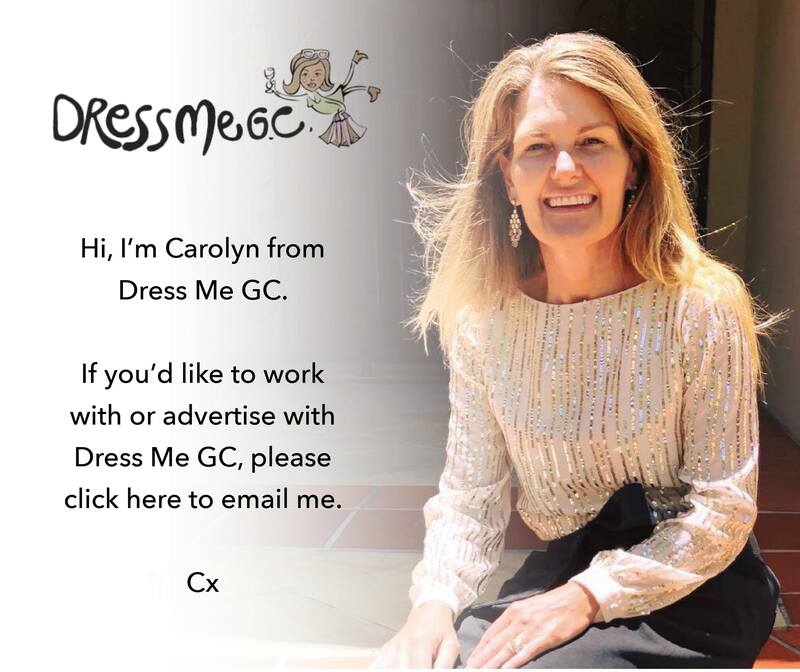 Dress Me GC joined 1200 people all dressed in white and ate, drank and danced the night away! 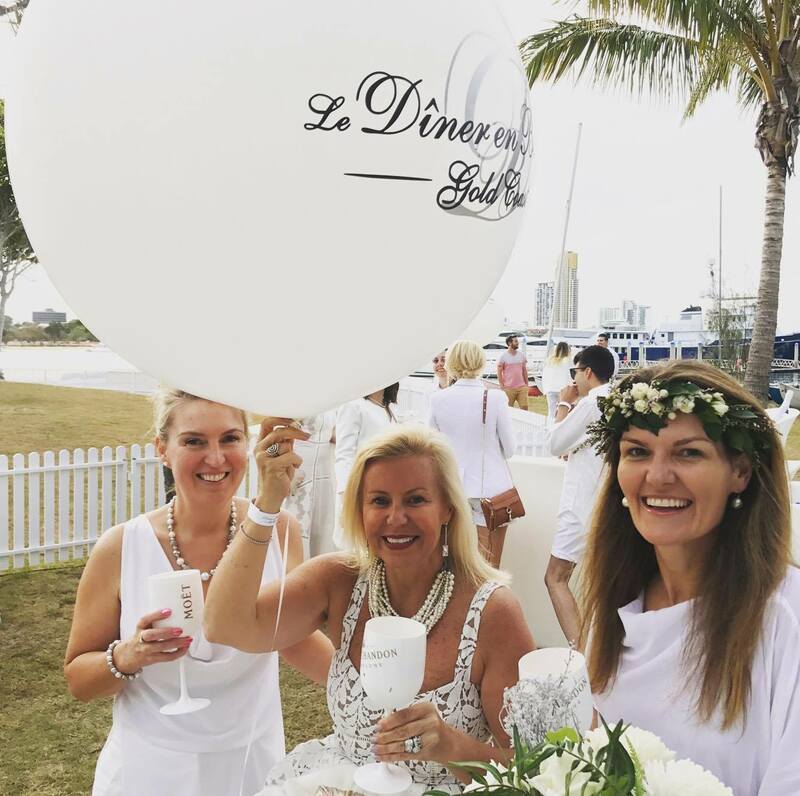 Diner en Blanc is a Pop Up Picnic. You pay for 2 tickets and select your departure point. Mine was Main Beach. At your departure point you get bused to the secret location. As it turned out the location was across the road from my departure point. 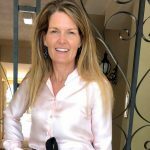 I walked across the road to the secret location – about 4 blocks from where I live. Because it’s a Pop Up Picnic you pack your picnic including chairs, tables, cutlery, food etc.. It’s hilarious watching everyone juggling so much stuff all dressed in white! Even funnier on the way home after alcohol! Speaking of alcohol BYO is not allowed so Moet Ice and Witches Falls Red & White wine is pre ordered and collected on arrival. The Dressing in white part is visually it’s amazing! 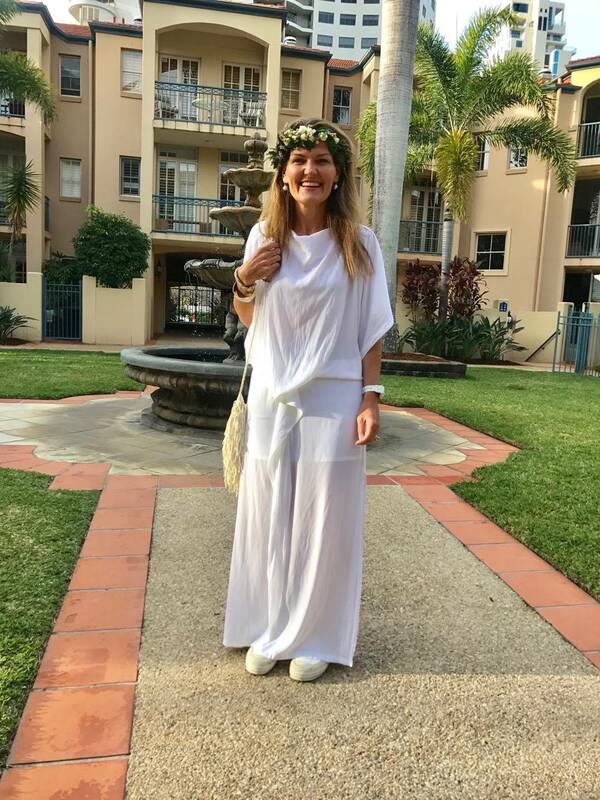 Personally I never really like “fancy dress”, but with the help of a dress from Lisa Brown Designs, and a flower crown from Flowers On Tedder, I was dressed ready to go. Until I looked in the mirror and looked like I was going to a (insert swear word) Toga Party! So off I went and had THE BEST TIME! Overall it’s so much fun – I absolutely loved it. Like the Diner on Blanc Gold Coast Facebook page so you can be in the loop for the next one.